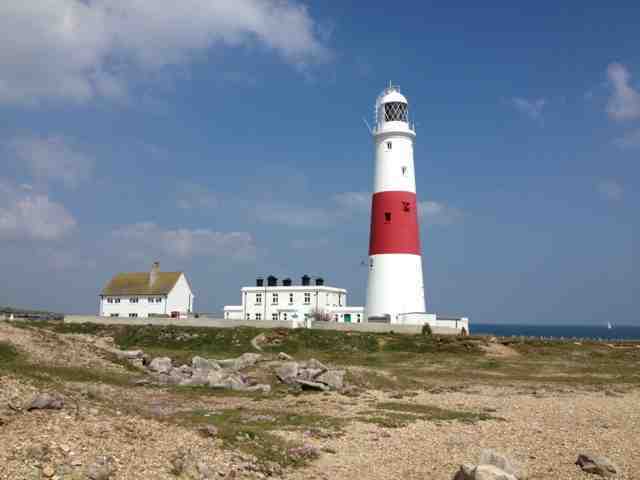 In terms of wind and weather, Sunday morning looks best for setting off from Weymouth with aim of rounding Portland Bill and heading west. That gives me a day of rest on Saturday. Today I went to Southwell by local bus, and from there I walked to The Bill. Glorious sunshine made it a pleasurable experience, and I was thrilled to hear several larks. Such places are best appreciated when alone, but today there were many visitors, most of them having come by car, some by coach and others on foot. 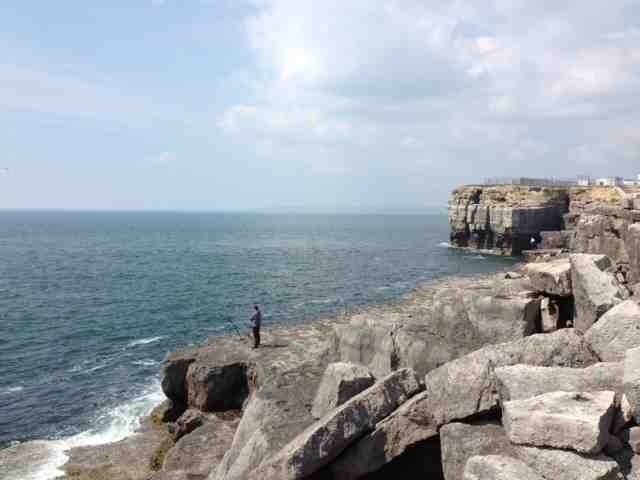 I concentrated on seeing what I went to see: the Lighthouse, the Day Mark, the craggy rocks, and particularly the sea. I noted that at 15.00 there was a strong current running from west to east, but by 15.30 there was no movement of water whatsoever. I stayed no later to observe the turn of tide. Back at the boat I cooked a substantial meal comprised of two lamb chops, ample new potatoes, peas and carrots. At 19.30 holidaymakers continue to sit at the quayside drinking beer and eating chips, but crab-catching youngsters have all gone. Soon, peace and quiet will return. Today's log will be short, as I shall be away from the boat for much of time. This morning I attended to a few jobs such as readjusting the depth of the outboard's prop and replacing another broken sail batten. 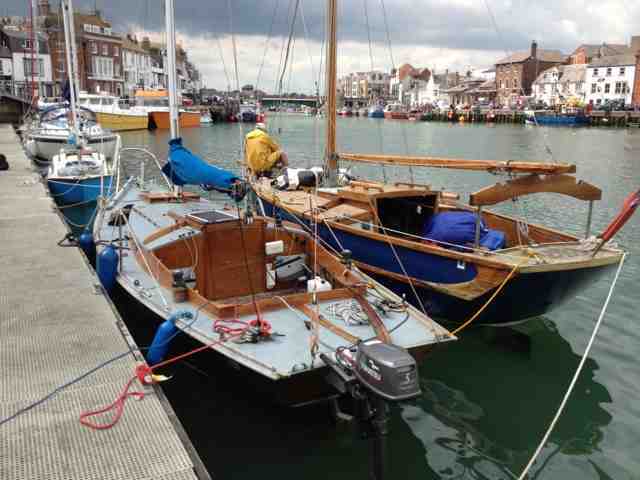 There are three other solo sailors who have berthed their yachts at the pontoon where 'Sandpiper' is berthed. We have swapped stories of how we came to be in Weymouth; Paul who owns a lovely Folkboat helped me extract the broken sail batten. I'm likely to stay at Weymouth for at least another day. Today has been a day to remember. My iPhone alarm summoned me at 01.00. An hour later, 'Sandpiper' was heading for sea. There was a slight headwind, but the spring ebb was running fast. The lights of the Swash Channel showed the way, and the moonlight helped me pick out Handfast Point. Swanage Bay was illuminated by street lights and the headlamps of cars. An avalanche of water off Anvil Point gave me a foretaste of what was to come when passing through the race at St Alban's Ledge, but I had not anticipated the severity of the pasting we were to receive. I had underestimate how rough it would be, on account of there being only a light headwind. The steepness of one wave doused the engine, causing it to stop. The jib alone did not give sufficient speed for control. There was no way I could set the main on account of the severe motion. Going on deck would have been suicidal. Fortunately, the outboard restarted at the first pull, putting me in charge once again, but only just. If you want excitement and the adrenaline to flow, I recommend running the St Alban's Race. I was amazed how well the Potter coped with breaking waves that put her on her ends. I confess to having made a miscalculation that placed me in an awkward spot. I was hungry to take a shortcut across the Lulworth Firing Practise Area before firing commenced. I was relieved to have the wind change in my favour when south of Lulworth Cove, and I was doubly relieved to be out of the firing range. By then, the monochrome of moonlight had changed to tints of sunlight, and the warmth of the sun on my back was most welcome. Moon and sun were partners - the sun to the east and the moon to the south. 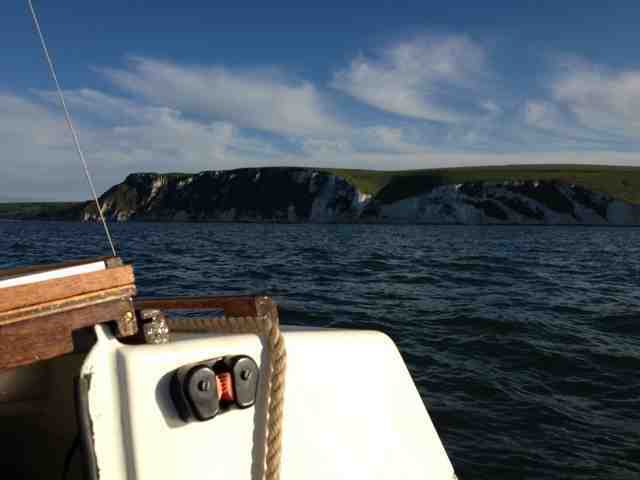 The sail from there parallel to the chalky cliffs of White Nothe was most pleasurable. Instead of sailing 30 plus I reduced the distance to 26 miles. With the help of the ebb the passage only took 7 hours. 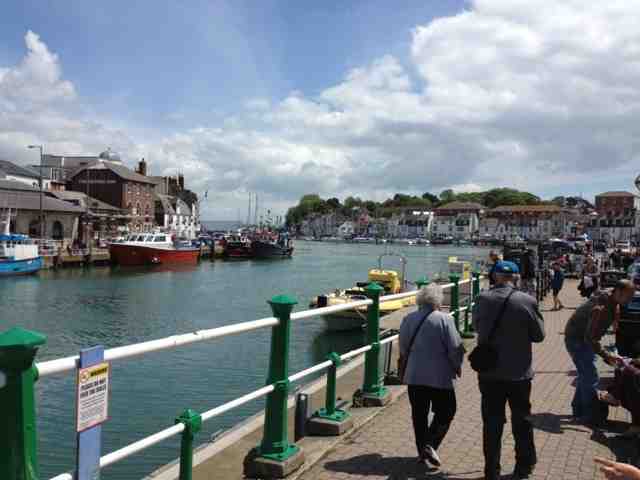 Weymouth was as I remembered it when cruising 'Ladybird', with the exceptions of the new day mark tower that can be seen from miles away and the revamping of the facilities at the Harbour Office for yachtsmen. The legacy of the Olympics has been for the benefit of visiting sailors. As I write, the rain is lashing down, but I made good use of the sunshine to do my shopping and laundry. I woke up with the prospect of a very wet day, but there was plenty to entertain me as 'Sandpiper' lay to her anchor off Goathorn Point. The forecasted strong wind did not materialise; instead there was a welcome calm. At low water two shags foraged in the shallows working their way along the edge of a nearby mud bank. Now and again they would lift their head to swallow morsels. The wonderful silence was broken by the squealing of distant terns and the honking of a pair of geese that passed overhead. There was a momentary pause in the drizzle, and the shags having gone, a startlingly white shag stood motionless at the water's edge. A sudden jab of his beak brought him the reward of a tiny fish. 'Sandpiper' gently bobbed and turned, revealing changing scenes through the open hatchway. Overhead, grey cloud indicated more rain was to come. A solitary jackdaw pecked at seaweed by the wooden jetty where laughing children had fished for crabs the previous day. There was no sign of them or the sound of their laughter this cold, dank morning. 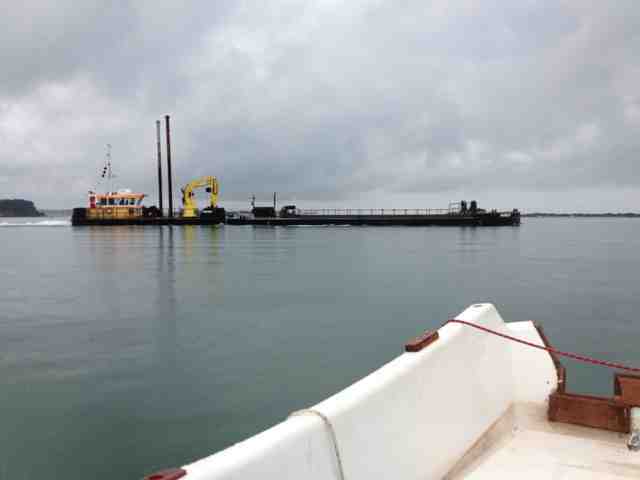 A floating platform with a crane and a digger trundled by, and it was later followed by a flatbed vehicle ferry, both heading for the Furzey Island slipway. 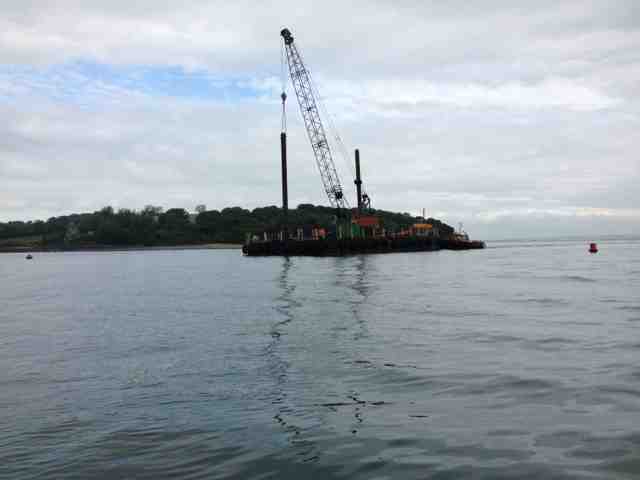 A large dredger was not far behind. She promptly commenced dredging the fairway and continued until midday. 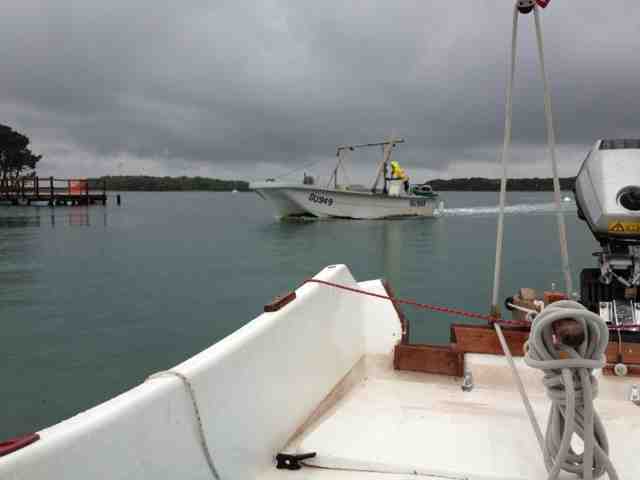 SU 949, a small cathedral hull fishing boat, passed close astern. Her solitary crew set his drag to skim the mudflats of nearby Brands Bay. Two identical craft turned up competing for a catch. After three hours of circling with engines droning they raced away. There was silence again, apart from the constant pattering of rain. 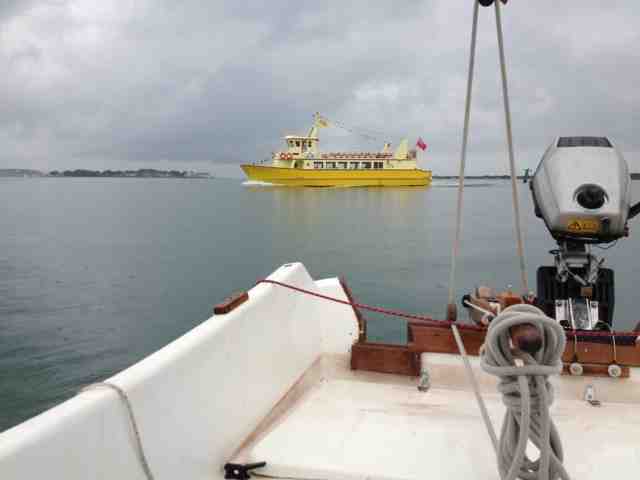 Then the 'Maid of Poole', a buttercup coloured tripper boat, driven like a bus, sped by sending her wash to violently rock 'Sandpiper' and to shake the bones of her skipper. Lunch over, my friend Richard phoned to say he was in Poole aboard 'Condor', and that she was about to depart for St Peter Port, on the Island of Guernsey. With two others he would be delivering a yacht to the mainland. The time is 16.40 and I shall be thinking of a warm and tasty meal to sustain me through this unusually bitter cold spell. A hot water bottle and my sleeping bag will help revive my toes that feel like icicles. 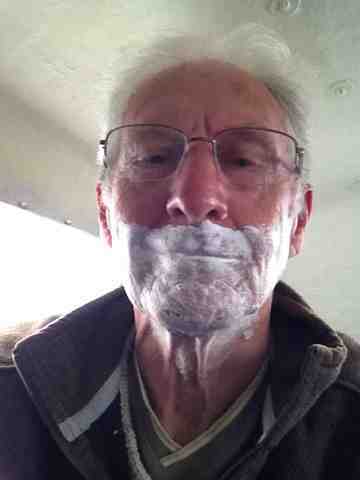 What the rest of the day will bring I do not know, nor do I know if I shall be sailing for Weymouth tomorrow. I had the unexpected privilege of meeting Jim Hall who turned up in 'Faith'. He had come from Christchurch Harbour, and confessed to me that he had motored part of the way. Jim is a very worthy owner of his Mat Layden Paradox. He is an accomplished sailor who built a 21 ft yacht and sailed her by himself to far away places. His visit was the icing on the cake and I thank him stopping and having a chat. I woke up later this morning knowing that I wouldn't be going anywhere. There was to be a southwesterly Force 4 - exactly what I didn't want for continuing to Weymouth or Portland. By the time I sail around Lulworth Firing Range the distance would be about 30 miles i.e., 10 to 12 hours on the go for a small boat like 'Sandpiper'. The forecast for Tuesday is awful with rain and a strong headwind; therefore without a doubt I shall be here until Wednesday. Because spring tides are not good for day sailing to the west I shall have to make a very early start. That could be in my favour, because I doubt firing will take place in the dark, but I shall have to check with the officer in charge of the Range. 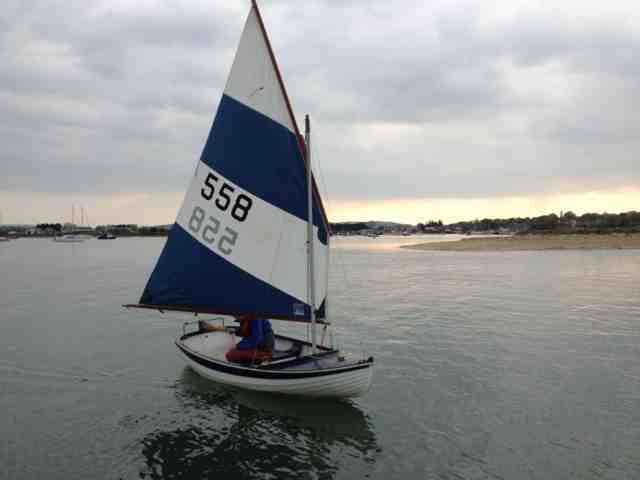 Sailing a more direct course to Weymouth would shorten the time by at least an hour and a half. This morning the anchorage was uncomfortable because the water was high enough to cover the banks exposing the yacht to a Force 5 from the SW. Being bounced around at anchor was not a pleasant experience, but I was able to attend to several small jobs such as cleaning the cabin, removing dirt from the fuel funnel's filter, drying items that got wet yesterday, etc. Close astern there is a motor yacht called 'Flapper 111', she is built from wood and she is in the style of a MFV. The only other nearby vessel is a Maxi 33, named 'Lazybones'. The time is 15.30, and having attended to things I wanted to do I have an opportunity for a nap..
Resuming the log at 19.00, I can say the day has been good. I'll leave you with two photos: one of Goathorn Point, and another of 'Flapper 111'. 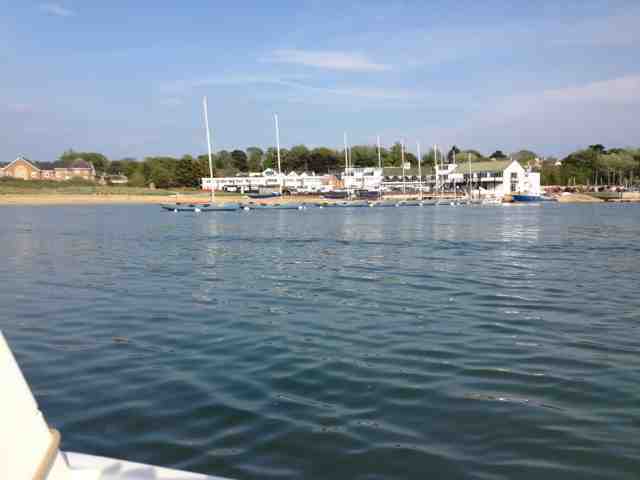 This Sunday morning at Lymington Yacht Haven there is a dead calm and the sun is shining. The time is 08.10 and I am ready to go, but the ebb does not allow departure until 10.30 at the earliest, because it is a spring tide and the flood will be making around Hurst Point. 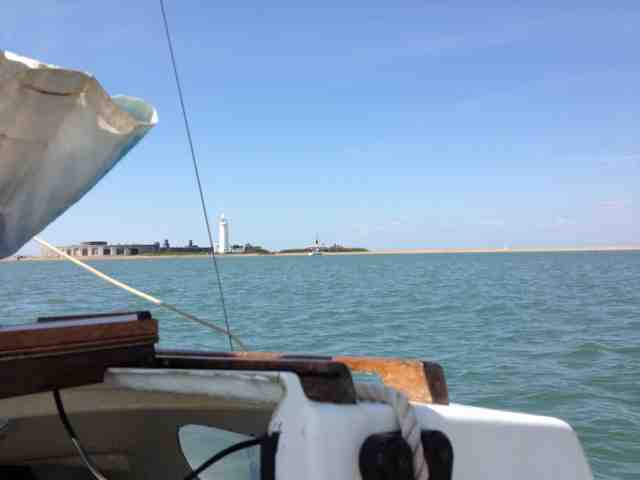 The distance to Hurst Point is 4 miles, and from there to the waypoint buoy for Poole Harbour it is 15 nautical miles. The inshore forecast gives NW, backing W 3/4, increasing 5 for a time, backing SW later, fair, good. Now that's not the best prospect for going to Poole, but I'll give it try. 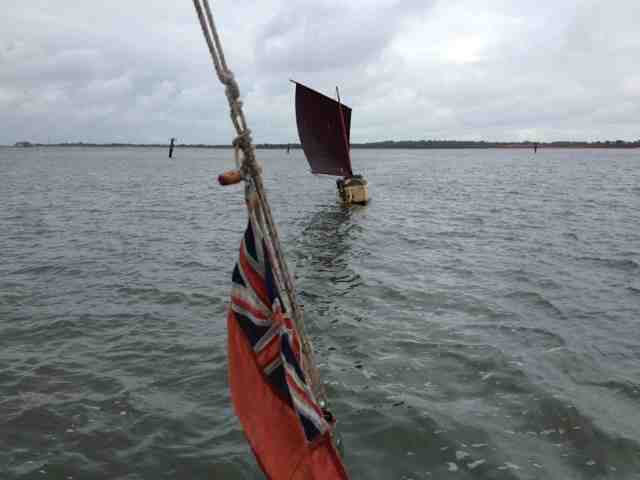 'Sandpiper' must average 3 knots. 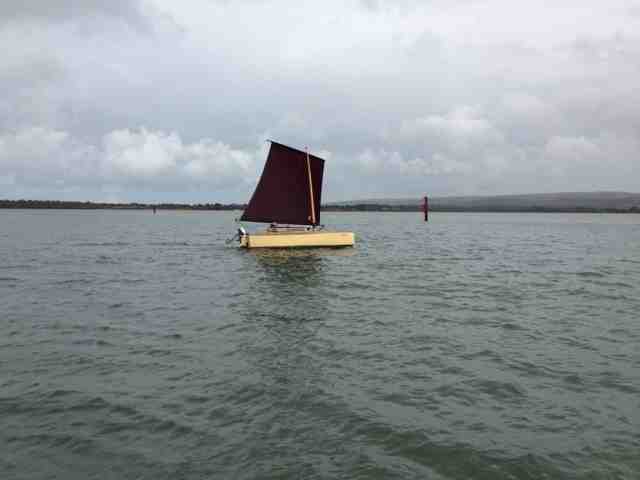 Alternatively, if I can't get into Poole I could anchor in Studland Bay. As I anticipated the going was hard. Towards the end with Sandbanks in sight, the wind did veer to the west, giving a head wind. Finally the tide turned against us. I put the engine on and started motoring. Bournemouth Pier was to the north. Once again, as off Southend many days ago, the petrol ran out before I refilled the tank, and I couldn't start the engine. I tried sailing to windward against the tide, but I could make little progress. 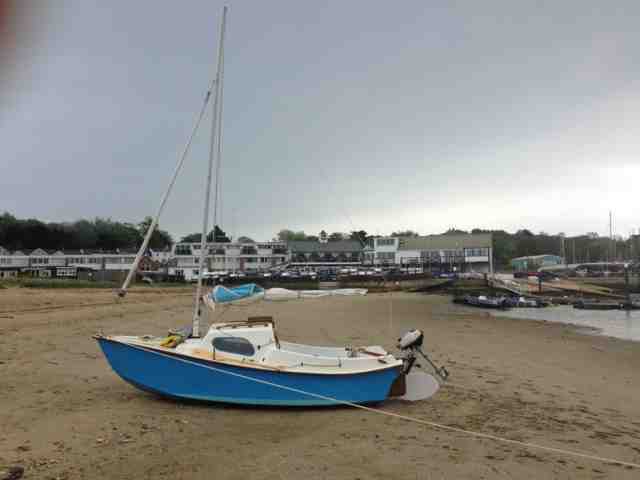 At that moment a squall threw the boat on her side and water came over the coaming. That was enough to make me try the engine a second time and to my relief it started. Several fast launches overtook us as we went through the East Looe Channel towards the western end of Sandbanks. 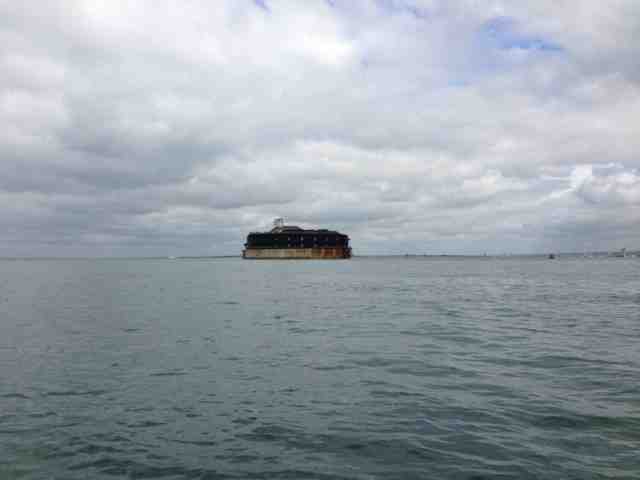 Making way against the very fierce ebb at the entrance to Poole Harbour was touch and go. In fact the place was bedlam. Maniacs were powering their craft through the race with no concern for anyone. I can't say I've ever seen such hectic happenings on the water. The chain ferry crossed between all the traffic, and sightseeing boats we taking passengers for a look, but they soon turned about for the security of the harbour. 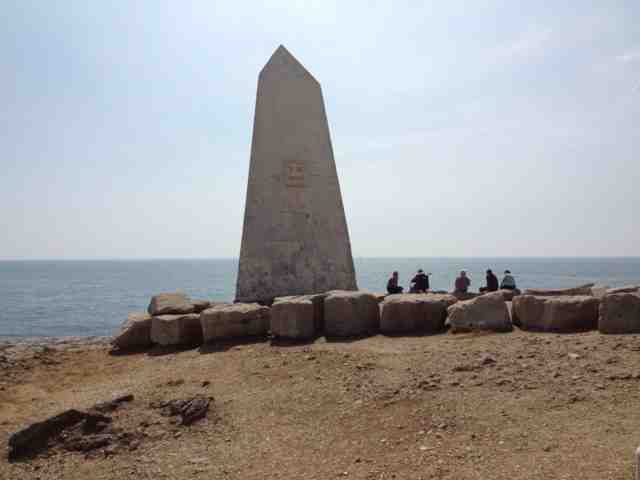 I was relieved to reach the North Marker where I headed 'Sandpiper' SW for South Deep. Once through it between the sands on either side, the water quieted down. There were several yachts and motor vessels anchored off Goathorn Point, and I joined them. As I sit here the evening sun is about to set, marking a memorable day. 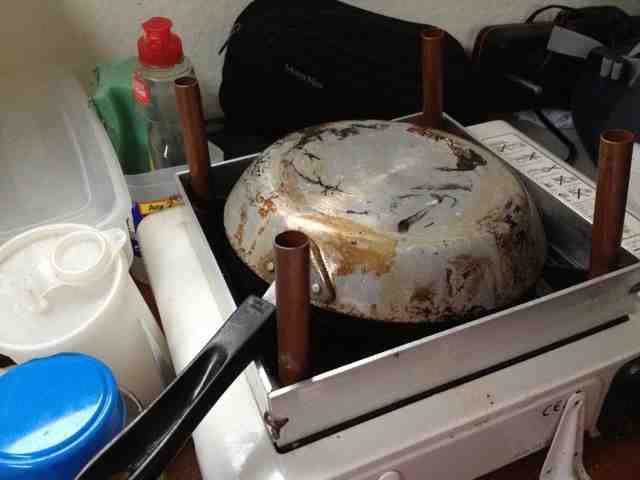 Last night was pretty cold, but I warmed the cabin with a makeshift stove; simplicity in itself, consisting of an inverted frying pan over my cooker. In fact, I was so warm I discarded one of my sweaters. The Force 4 from the north never materialised; instead there was a gentle offshore wind that increased in strength a little when the boat was under cloud shadows. 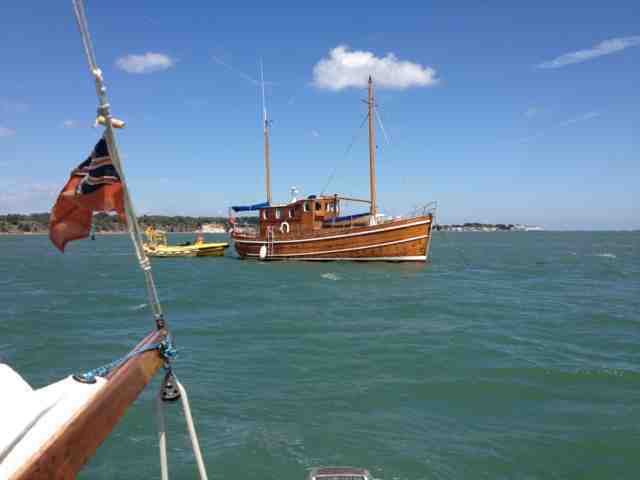 I took 'Sandpiper' across the Solent to the Beaulieu side and let the ebb carry her parallel to the shore to the entrance of the Lyming River; from there I followed the marks to Lymington Yacht Haven. Hundreds of yachts were out and about, and as I drew near to the Yacht Haven I had to dodge racing yachts, dinghies and the Wight Link ferry that was making out to sea. 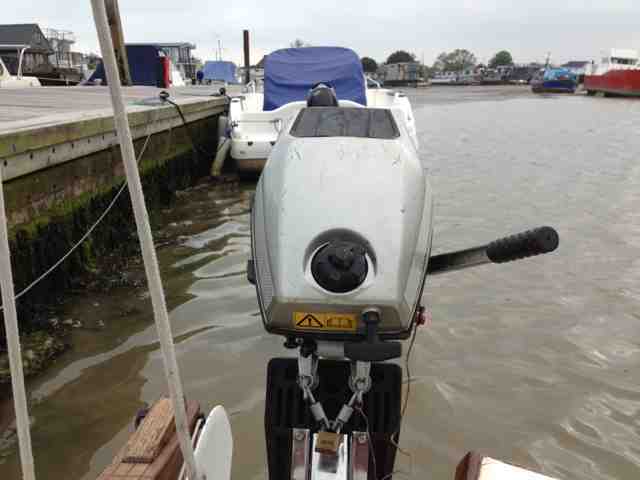 On my approach to the River I noticed the socket for the Autohelm was loose. 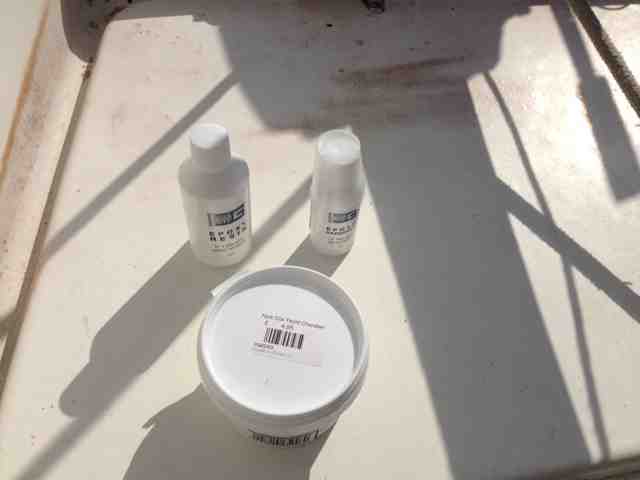 After settling the boat at her berth I went to a nearby chandlers and bought a mini epoxy kit for fixing the socket. Two hours later the epoxy had hardened, and by tomorrow it will be better that it was before. 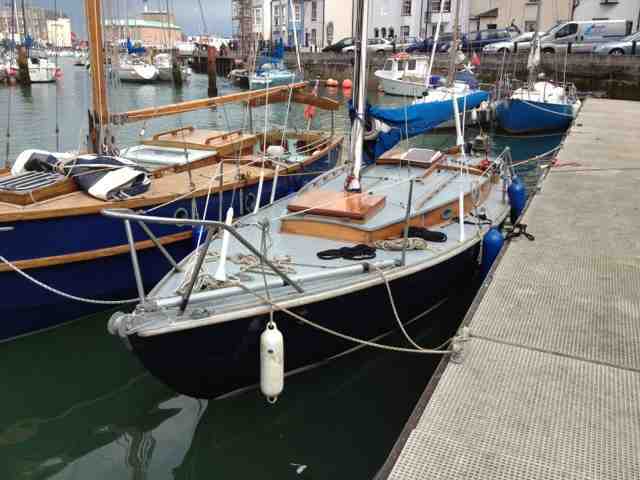 There was a stunning modern classic yacht berthed at a pontoon adjacent to the Marina office. I could not resist taking a photo of her for you to see. I've made no plans for tomorrow, but it is unlikely I'll stay at the Yacht Haven, because of the cost. Nevertheless, I've made use of the showers and created a record for me by having two showers in one day. 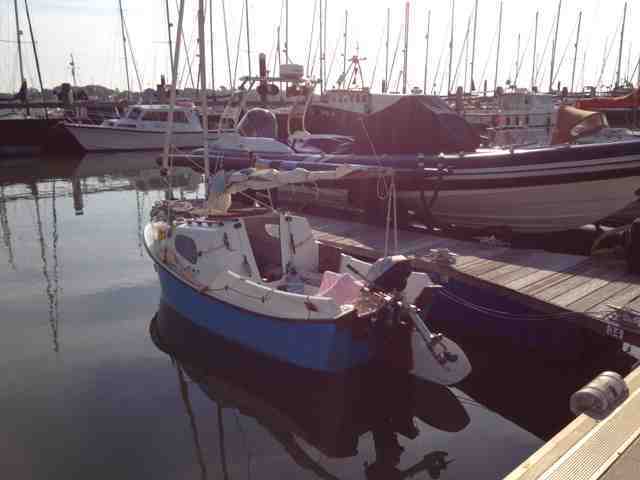 The other I had early this morning at East Cowes Marina. The weather was not kind today; therefore I retraced my steps of yesterday and I continued beyond Shalfleet by bus to Alum Bay where I had originally intended to go. 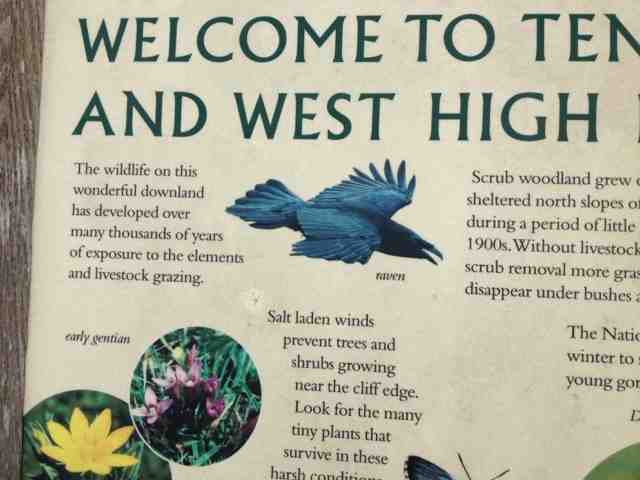 My visit was very worthwhile, since I was rewarded with breathtaking views from the spectacular chalk peninsula at the western end of the Isle of Wight. This finger pointing westwards is called The Needles. At the far end of the peninsula there are three stacks of chalk, and the furthest has a lighthouse on it that was built in 1859. There used to be a needle-shaped chalk pillar beyond, but it collapsed in a storm in 1764. This was named 'Lot's Wife'. 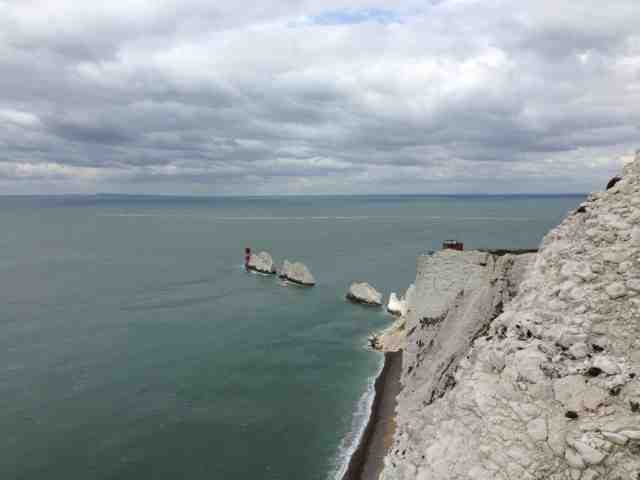 The name of 'Needles' for the existing formation of chalk stacks was coined from the one that fell into the sea. The cliffs overlooking the pebble beach at Alum Bay are unusually multi-coloured, presumably because of the different makeup of the constituent soils. I was fortunate enough to see local ravens that seemed very much at home soaring over the cliffs. The amusement park at Alum Bay was almost deserted, but a few entertaining activities were taking place. 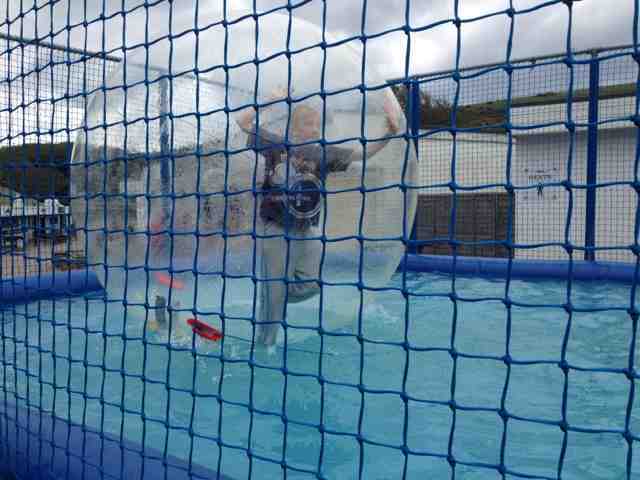 Children were particularly attracted to a large, inflatable transparent ball within which they could try standing up when it floated in a pool. While I watched, not one of them was able to do it. 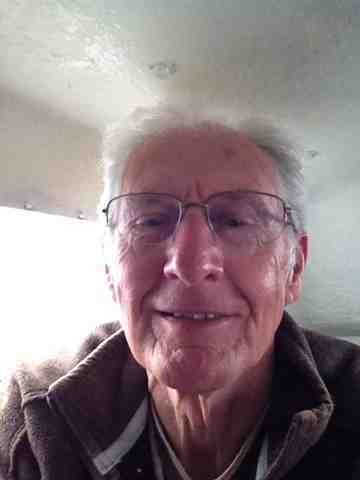 When I was away from the boat there were a few light showers, and a strong cold wind that gave my face a healthy glow. Later, when I was back onboard, the wind really blew, and down came the rain. So I was thankful to have returned before the storm. If the wind plays ball tomorrow by abating, my plan is to sail to Lymington or Keyhaven, but 'Sandpiper' has to survive the current gale! The time is 17.15, and she is being buffeted against the pontoon here at East Cowes Marina. Maybe the night will be very uncomfortable, and perhaps memorable. 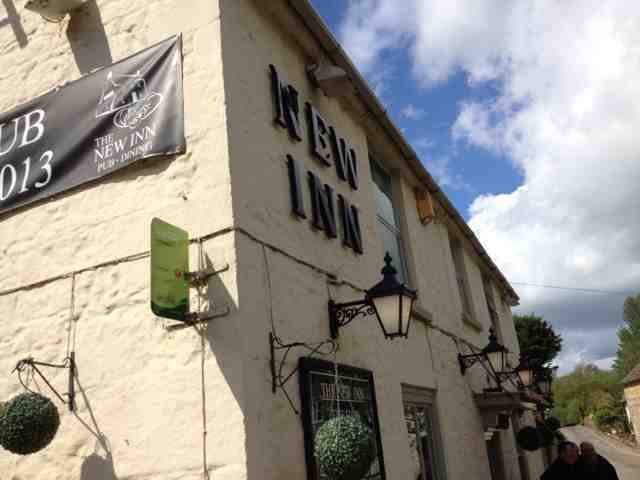 My intention was to travel by bus to Alum Bay via Newport, but while on the way I thought I would contact Jim, the owner of 'Faith', to ask him if he would like me to stop off at Shafleet, by the New Inn, and walk to the boatyard where we could meet. His immediate reply was welcoming. 'Faith' was anchored at the time in the Creek. 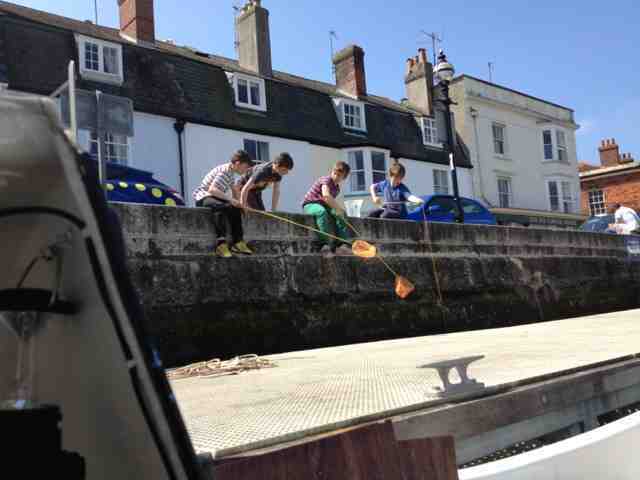 The walk from the New Inn took little more than 10 minutes to the quay at the boatyard. 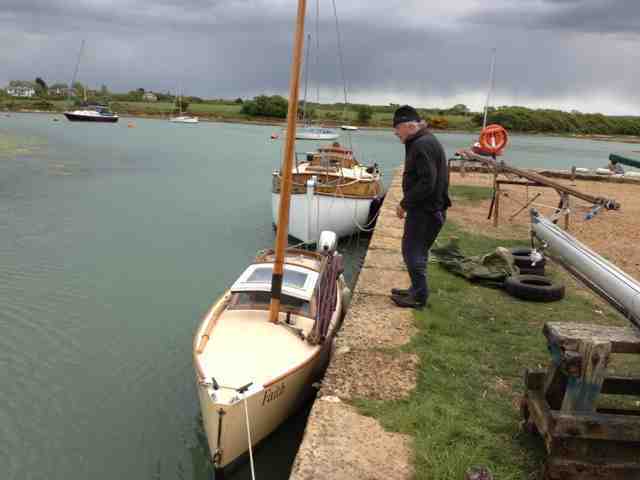 I was delighted to meet Jim and to learn of modifications and additions he has done to his boat. 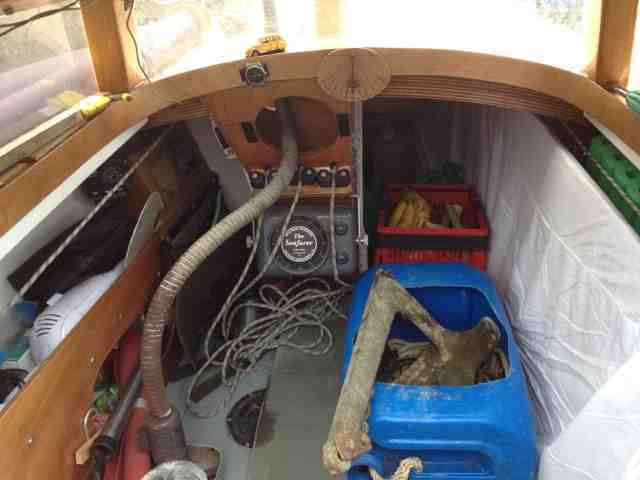 He has removed the partition in the forepeak and widened the entrance to that part of the boat. 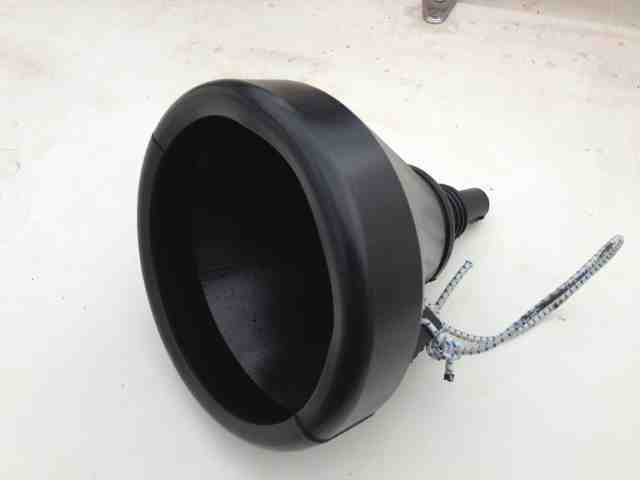 He added a storage tank for drinking water in the forepeak and improved access to the battery. Because there was a problem with the sheet snagging on the outboard, Jim changed the sheet lead, bringing it forward on the stern deck. Apparently this has made a lot of difference. The biggest improvement by far has been a new sail with a higher peak. Jim says the sail has transformed the boat so that she sails better to windward and tacks more positively. As a result, he seldom makes use of the engine. He also reshaped the yuloh, by giving it more twist; thus he has three means of propulsion. 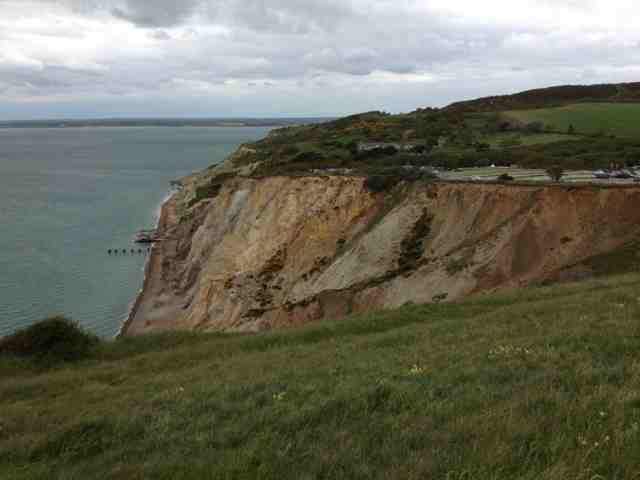 I never did get to Alum Bay, because by the time Jim and I parted, it was too late. I wanted to do some shopping at Newport before returning to my boat. Altogether, I had a very good day. The forecast for tomorrow is grim - definitely not a day for sailing - force 7 likely, and rain. There was a little hiccup with the engine which Andy promptly put right, so I thank him for the work he did on it this morning before I left Bembridge. It now happily purrs along, and sounds sweeter than ever. 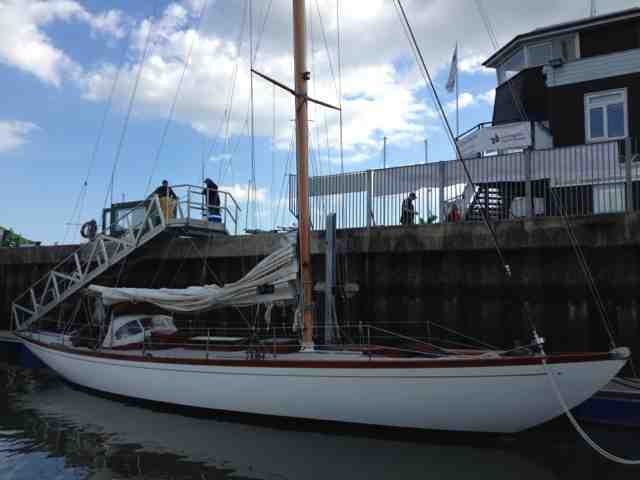 The trip to East Cowes Marina, on the River Medina, went without a hitch. Entering Cowes Harbour one has to be pretty vigilant because there are Hi-Speed ferries that berth at the Jubilee Pontoon, and Ro-Ro ferries to the east at the Terminal. The other thing to watch out for is the Chain Ferry. Where it crosses, the river narrows, causing the current to flow at a rate of knots. With the outboard throttle at 3/4 open, 'Sandpiper' could just make over the ground at 1.2 knots. However, all went well, and I berthed on the outside pontoon 'B'. 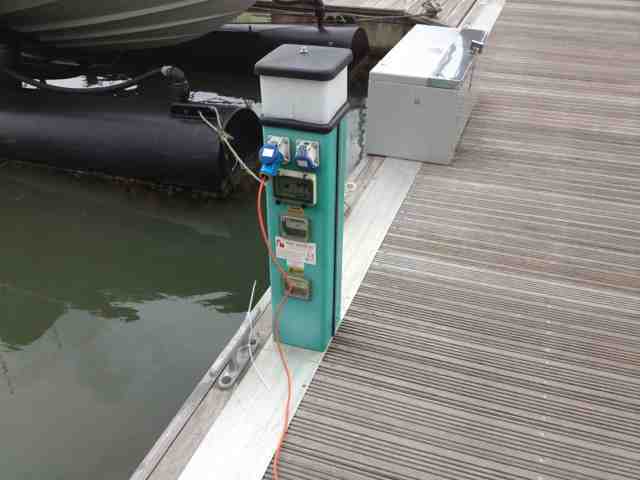 That had a reserved sign, but I could not contact the Marina by VHF, because the battery was flat! I had a great reception at the office where the two ladies in charge received my confession of laying to the prohibited pontoon with good humour. They allocated me a very snug berth nearer the facilities, and it had an electric point. The past four days have been cloudy; therefore the input from the solar panel to the ship's battery has not been sufficient to keep it fully charged. Hence I was grateful for an opportunity to charge the battery from the mains. 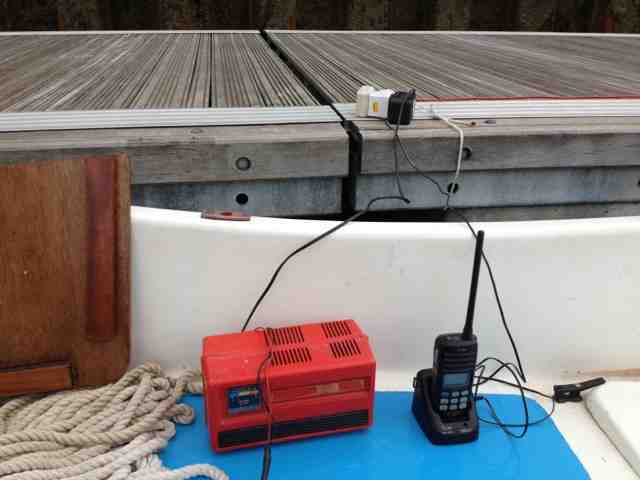 I also charged the VHF. The official information booklet for the Marina states that the washroom facilities are of the 'highest standard'. At the time of writing this I have yet to verify the claim, and I am looking forward to having a luxurious shower. My plan for tomorrow depends on the wind. I am informed that there will be a blow from the NW. If it turns out to be too strong, I'll stay put. Jim, who owns 'Faith', my old Paradox, sent an email to say he was heading for Newton Creek. Now it would be great to link up with him. Maybe we shall meet. Ian Turner left a comment on yesterday's post to say that he was heading for the South Coast. Could it be that we shall meet? Last night I discovered the Honda 2hp outboard was in need of attention. I could only get it to work at tick-over speed; anything more and it did not want to know. Increasing the throttle would cause it to stall. The engine is essential for this cruise where distances between ports or anchorages can be 40 miles or more. Without the engine I would not have been able to complete the Dover to Eastbourne leg within the hours of daylight. 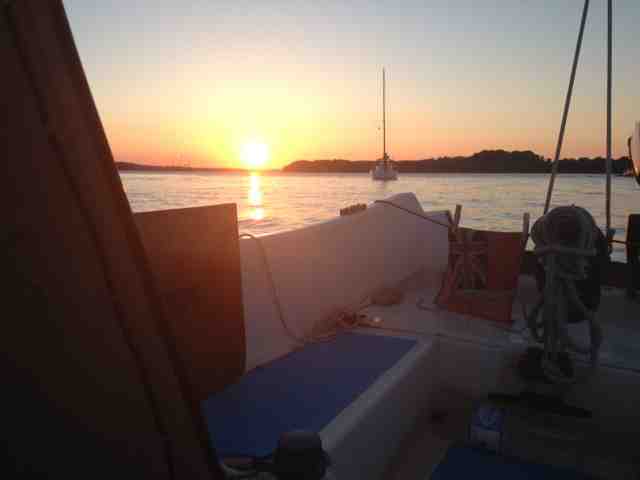 I'm not averse to sailing at night; in fact, there can be advantages. Winds are generally steadier than during the day, and identification of lights by their characteristics help the navigator to plot his position with some degree of certainty. On the other hand, I am not a night creature; I much prefer the sun to the moon. 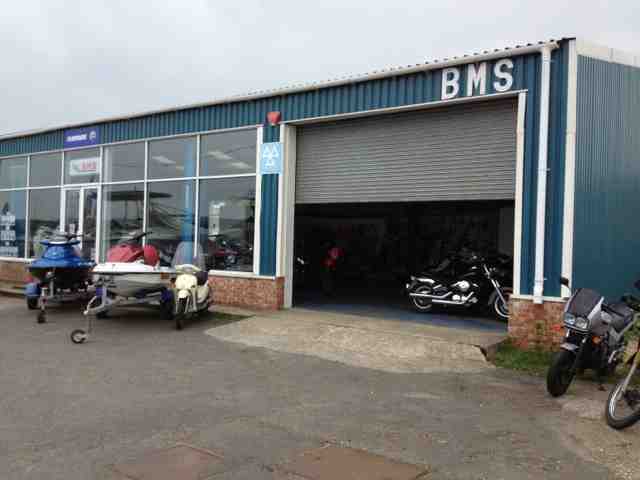 I let Andy Toogood of BMS have the engine, and he told me to collect it around 16.00. 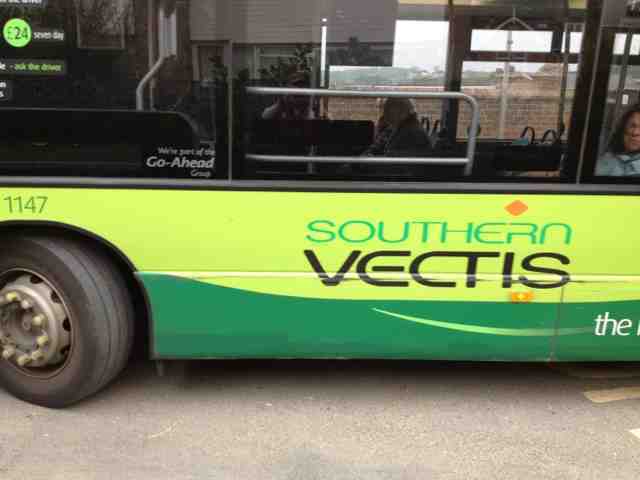 That left me free to take the number 8 bus to Newport, the central hub of the Isle of Wight. There I called into Morrison's and M & S.
I observed that most of the Island is farmland - arable, and land set aside for grazing. Beside major roads there is a lot of residential property. Near and at seaside resorts there are many hotels and B & Bs. I collected the engine. Andy gave me his word that it would work as it should. He advised me to obtain a filtered funnel to avoid having the carburettor blocked in future. I did as he said, and I wondered why I had not bought one before. If the wind allows me sail tomorrow morning I will, but to where, I shall not decide until shortly before getting underway. A challenging and interesting day to say the least - not a commando exercise, but very nearly, I had to get my skates on and think clearly. 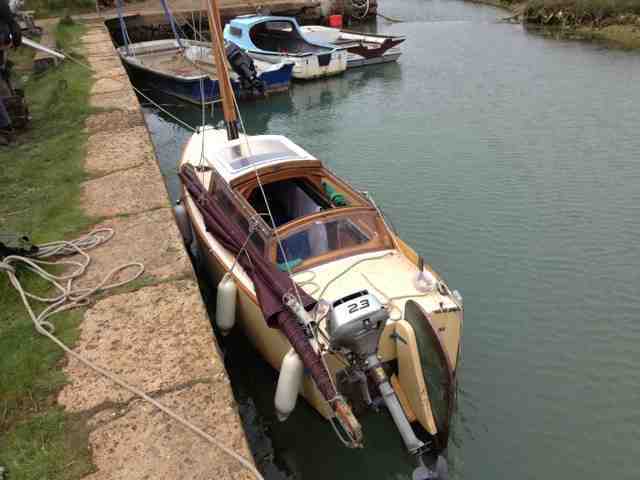 Last night while on a borrowed mooring I discovered the rudder hangings were in a bad way. I thought both pintles had failed, because I could wiggle them. Drastic action had to be taken. I immediately beached the boat. This morning a closer inspection of the fittings revealed that the lower pintle was only attached to the transom by two screws. They had come loose, and it was by the grace of God that they did not pop out. The reason water did not enter the boat was because the flexible Dow Corning maintained a seal. 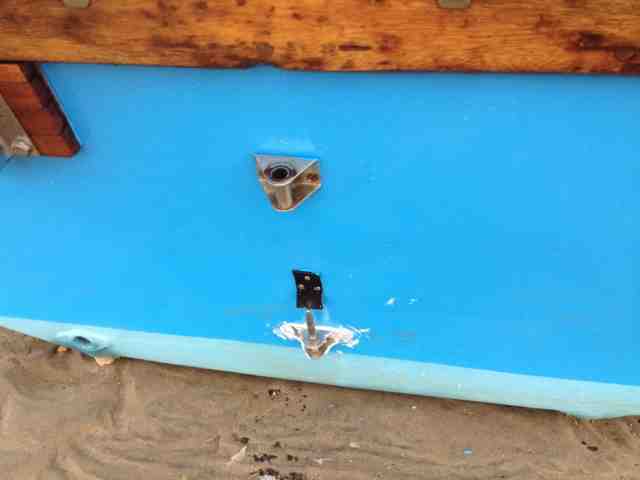 The upper pintle fitted to the rudder had become loose from the supporting bracket and it required welding together. 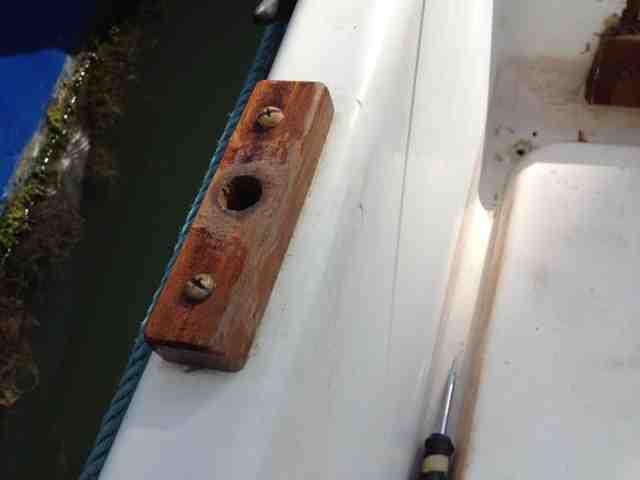 The remedy was to bolt the lower pintle to the transom and have the upper one welded. That's where my iPhone was handy, because I could get the phone numbers of local welders and taxis. By dealing with priorities the jobs were done. I had to remove the lower pintle and replace it before the next high water. 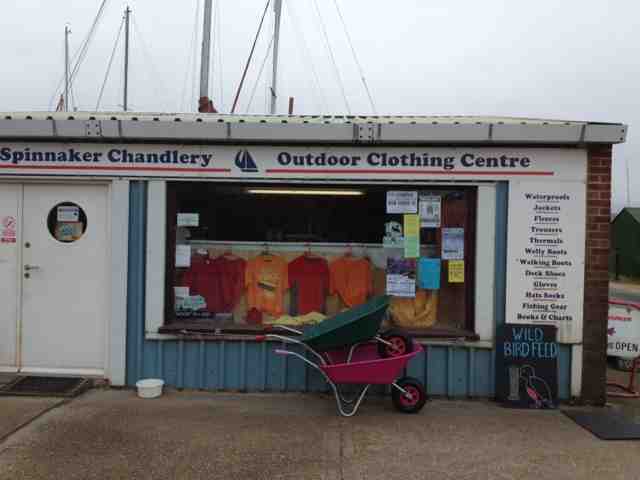 The exact bolts were found at the Spinnaker Chandlery, just across the road. 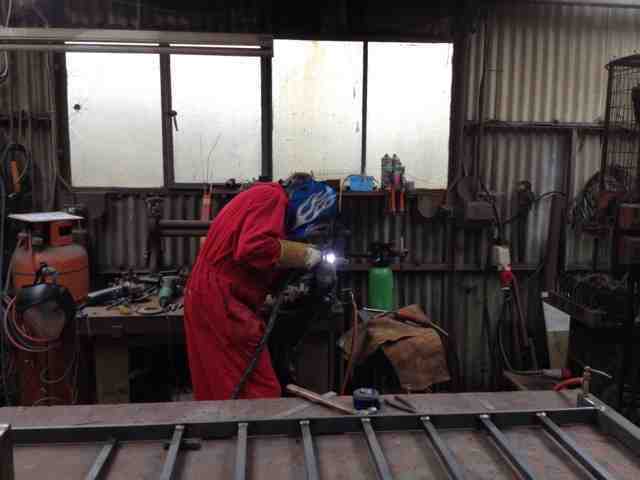 The welding was done by A & R Welding of Carpenter's Farm at Ryde, PO33 1YW. I am more than happy with what has been done. 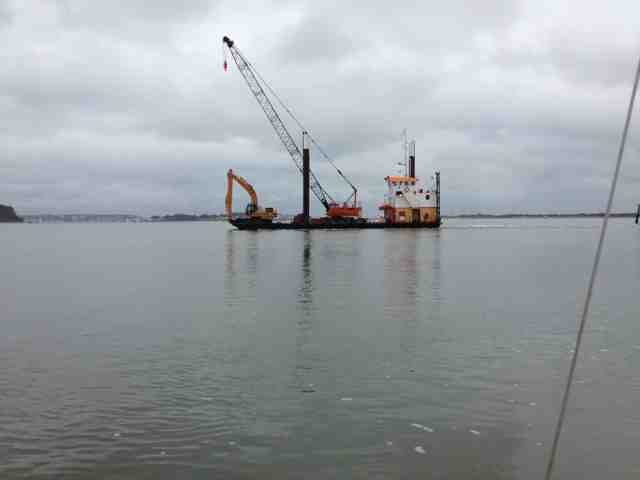 What is remarkable is that the rudder did not fall off when going through the Loe Channel three days ago. The going was tough and a lot of strain was put on the rudder. I have a sense of satisfaction knowing all is well. I'm amazed I did not notice that the fixtures were inadequate when I inspected the boat before taking her for her first sail. I am planning to lay 'Sandpiper' beside a pontoon with direct access to the main road. That will give me the option of staying at Bembridge for at least another day or continue westwards, subject to weather. As usual, my body clock told me to wake at 04.30. I could hear the patter of rain falling on the cabin roof. There was a soft humming from the rigging, not unlike the sound of bees busy in their hive. Water chuckled and burbled along the chines. 'Sandpiper' gently dipped and bobbed as she swung to and fro in arcs tethered to her anchor warp. That was the beginning of a new day. 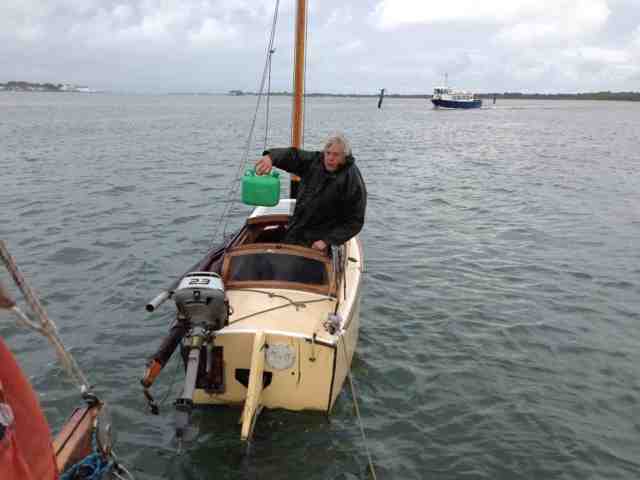 I had planned to sail to Bembridge to the east side of the Isle of Wight, but as I don't like being underway in the rain, I was content to get on with breakfast and attend to personal hygiene. Over the course of time cruising small sailboats I have perfected methods of dealing with repetitive tasks such as keeping oneself clean with the minimum use of water. I can shave my face and wash my body with no more than two small mugs of water. Why should I impose this restriction on myself when I can put into a marina? 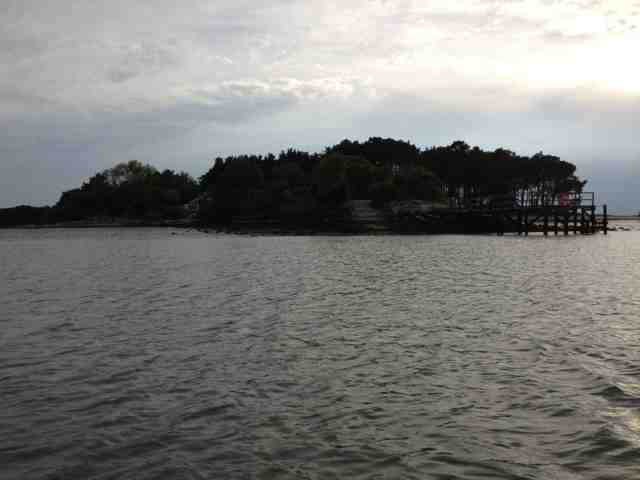 Much depends on the location where I am, but what I enjoy most is sailing along the coast to estuaries. 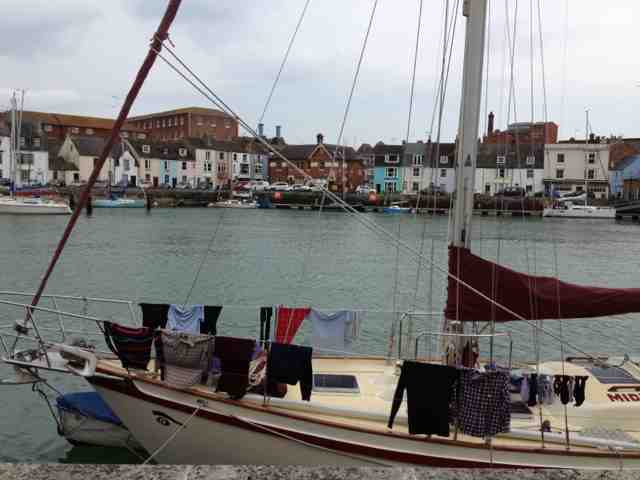 Marinas are great for restocking the boat and for doing a big clean, washing and drying clothes, but wherever possible I prefer not to visit them. Sailing or anchored in a beautiful creek with birds as my only company, is far the best. There I cannot replenish the boat with freshwater, and the more time I spend in such less frequented places, the more focussed I am on conserving water. Sometimes I have spent five or six days without putting foot on terra firma and yet I could so easily have beached the boat and walked to a shop. Enjoying my own company is part of a balanced life in which I gladly associate and share with others, especially my family and friends. By late morning there was a cessation of rain and I got underway for sailing to Bembridge, a place I never visited before. A mile off the harbour, drizzle set in. There was not much clearance over the bar, but we didn't touch. I picked up the first buoy adjacent to the drying out beach. 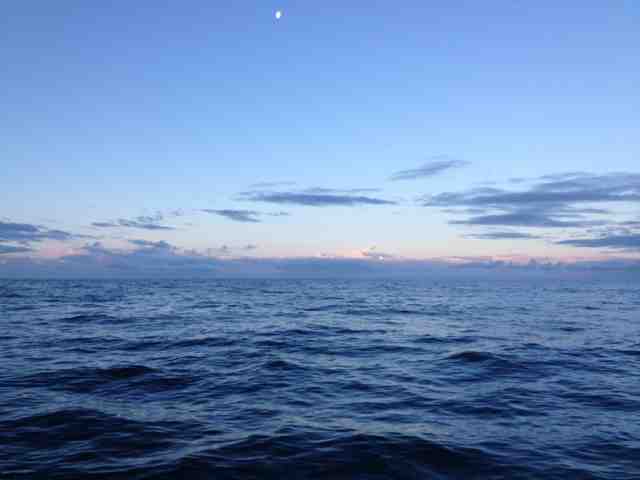 The time is 18.50, and I am settled for the night, unless I am asked to move off the mooring.